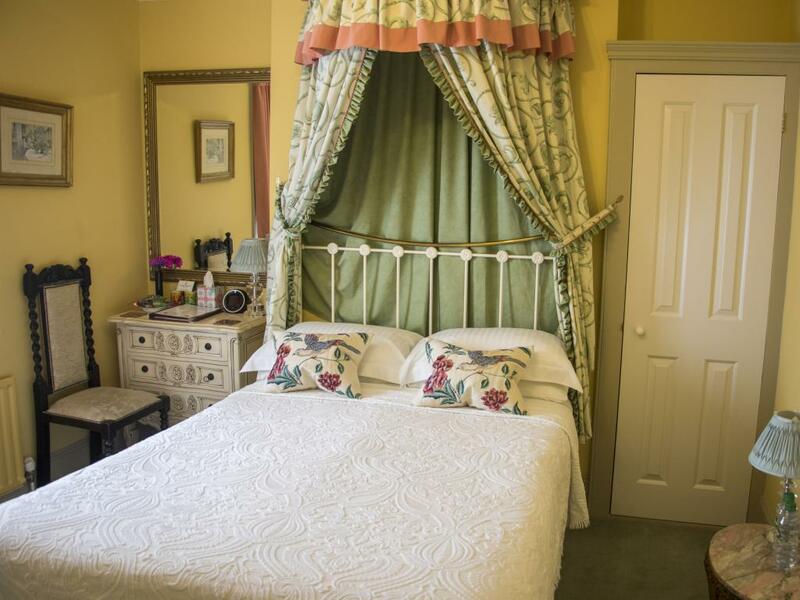 The Alice is a beautiful period style room has a super kingsize canopied bed and large en-suite bathroom. 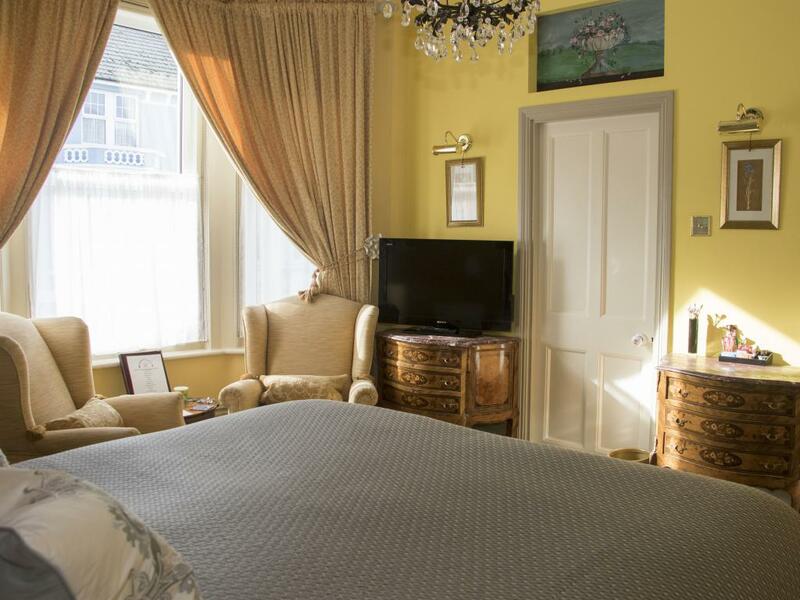 It has a bay window with side sea view and is the perfect place to relax, the room also includes a Nespresso coffee machine for a little indulgence. 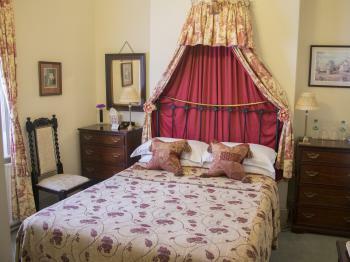 Guests may choose to have this room with twin beds. 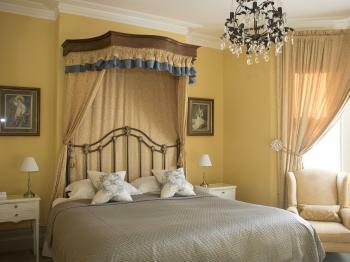 All rooms are equipped with blackout blinds and ear plugs to aid a restful sleep. The Alice ensuite includes a bath with handheld shower. Breakfast is served between 8am and 9am (Monday to Saturday) and between 8.30am and 9.30am on Sundays. We cook all of our breakfasts fresh to order using only the finest quality, and where possible, locally-sourced ingredients. This room also includes a mini fridge for your personal use. 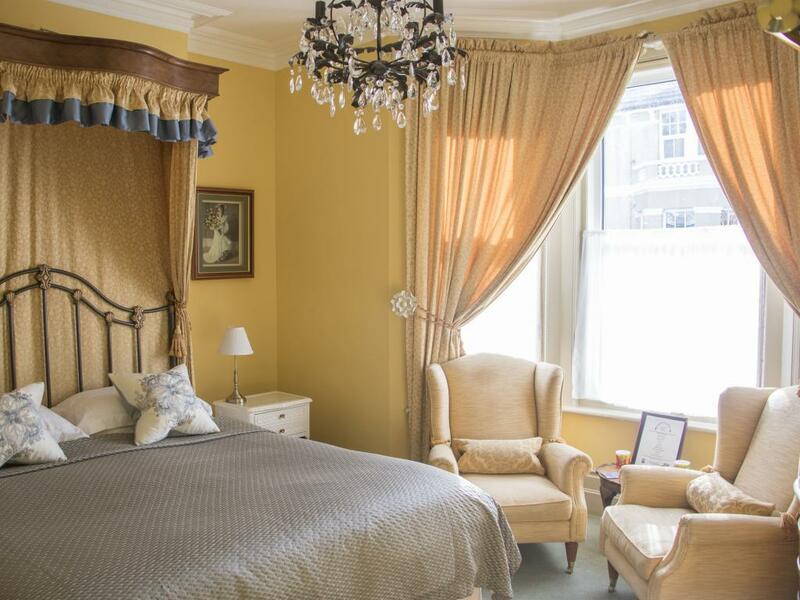 The Helena is a beautiful romantic room with a true period feel. The double bed has a canopy in Toile de Jour with matching window drapes. 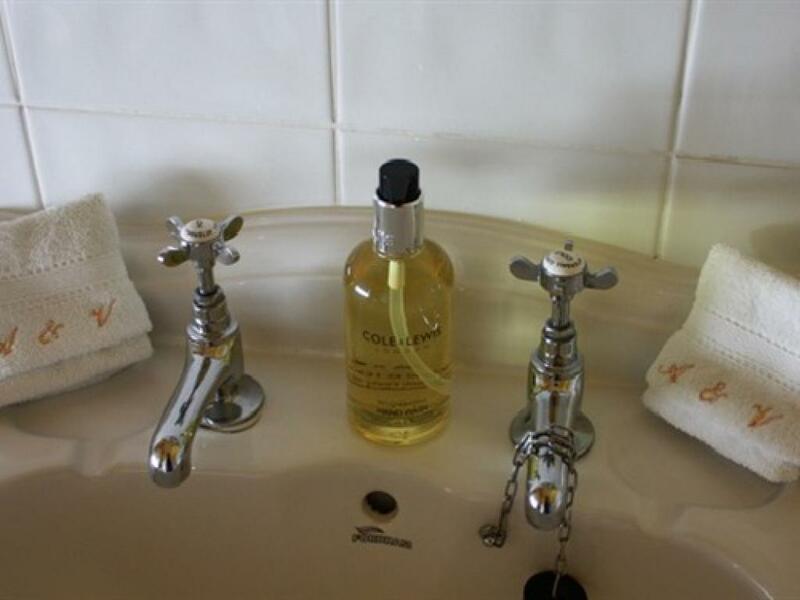 For your comfort there is an en-suite shower room and everything to make your stay as enjoyable as possible. All rooms are equipped with blackout blinds and ear plugs to aid a restful sleep. Breakfast is served between 8.00 and 9.00am Monday - Saturday (8.30 - 9.30 on Sundays). We cook all breakfasts fresh to order using the highest quality, and where possible locally-sourced, ingredients. 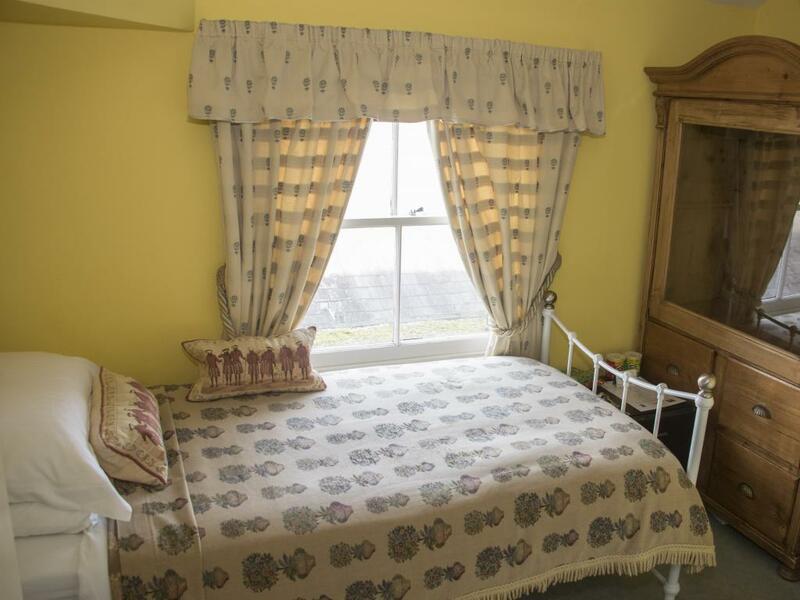 This room also includes a mini fridge for your personal use. 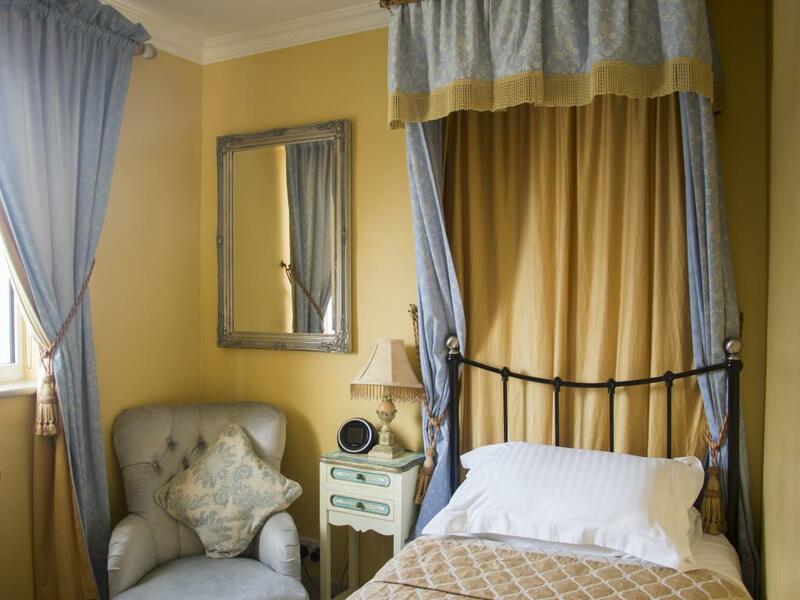 The Leopold has a calm and tranquil atmosphere. 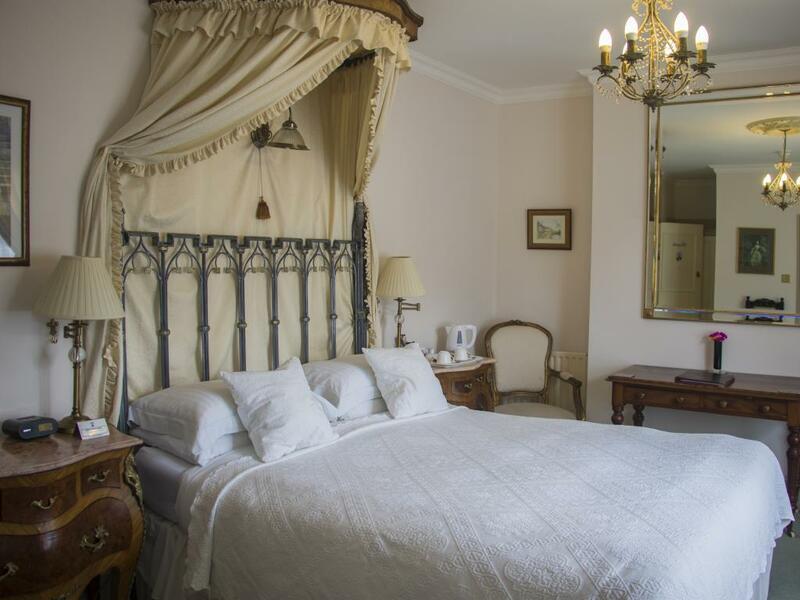 The beautiful antique canopied kingsize bed is draped with cream curtains and includes a Nespresso coffee machine for a little indulgence. 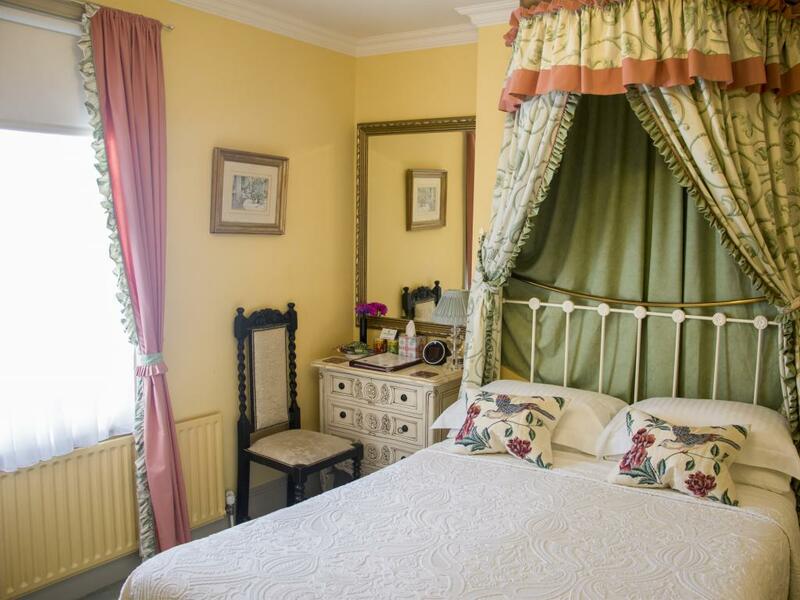 The room has a sea view and large shower en-suite to complete the comfort of your stay. An additional single bed is available on request to accommodate a third person. 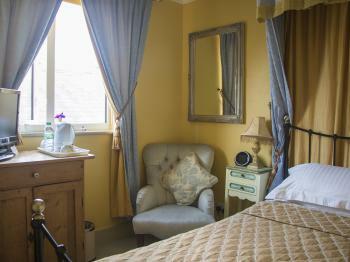 All rooms are equipped with blackout blinds and ear plugs to aid a restful sleep. Breakfast is served between 8.00 and 9.00am Monday - Saturday (8.30 - 9.30 on Sundays). We cook all breakfasts fresh to order using the highest quality, and where possible locally-sourced, ingredients. This room also includes a mini fridge for your personal use. 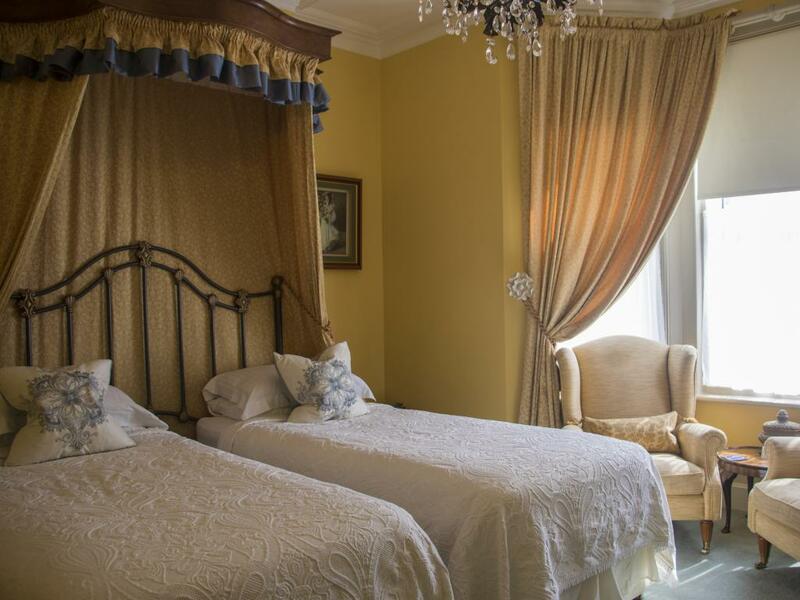 The Beatrice is a beautiful romantic room with a true period feel. 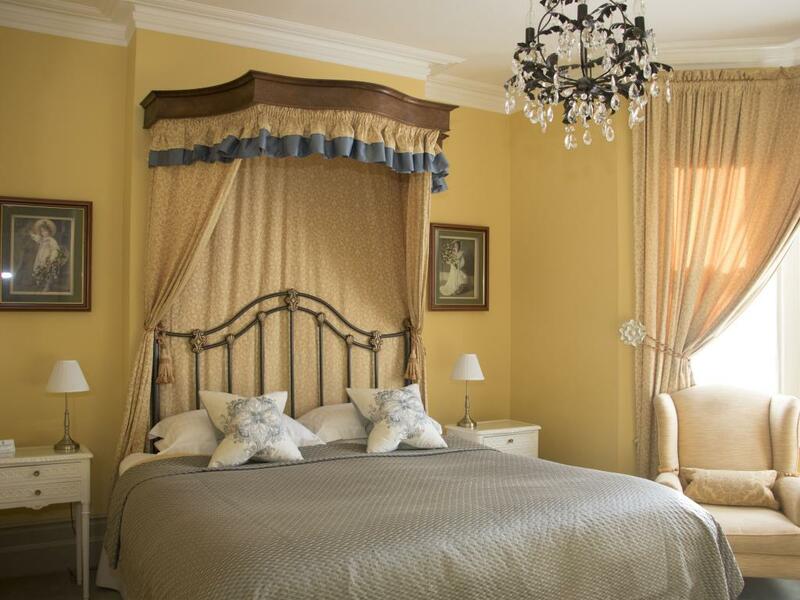 The double bed has a canopy in Toile de Jour with matching window drapes. 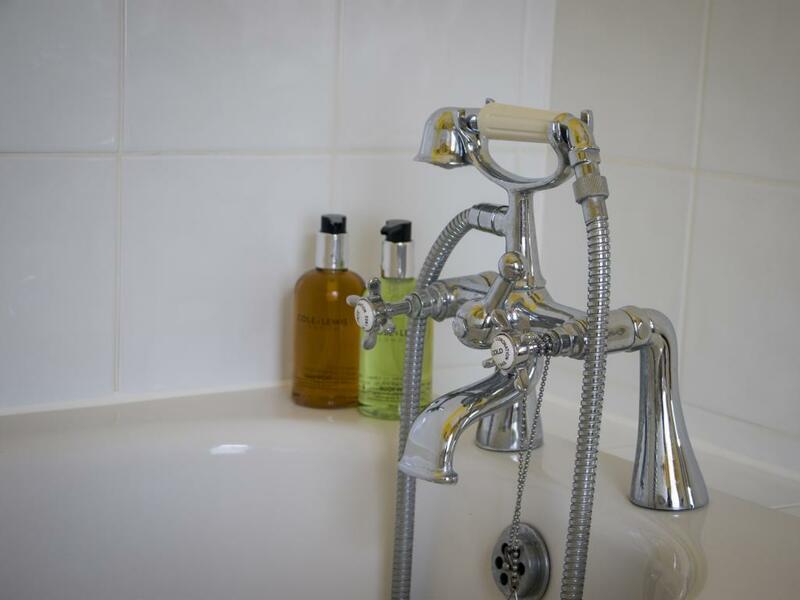 For your comfort there is an en-suite shower room and everything to make your stay as enjoyable as possible. 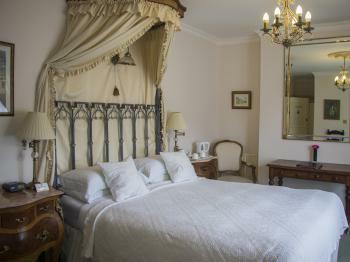 All rooms are equipped with blackout blinds and ear plugs to aid a restful sleep. Breakfast is served between 8.00 and 9.00am Monday - Saturday (8.30 - 9.30 on Sundays). We cook all breakfasts fresh to order using the highest quality, and where possible locally-sourced, ingredients. 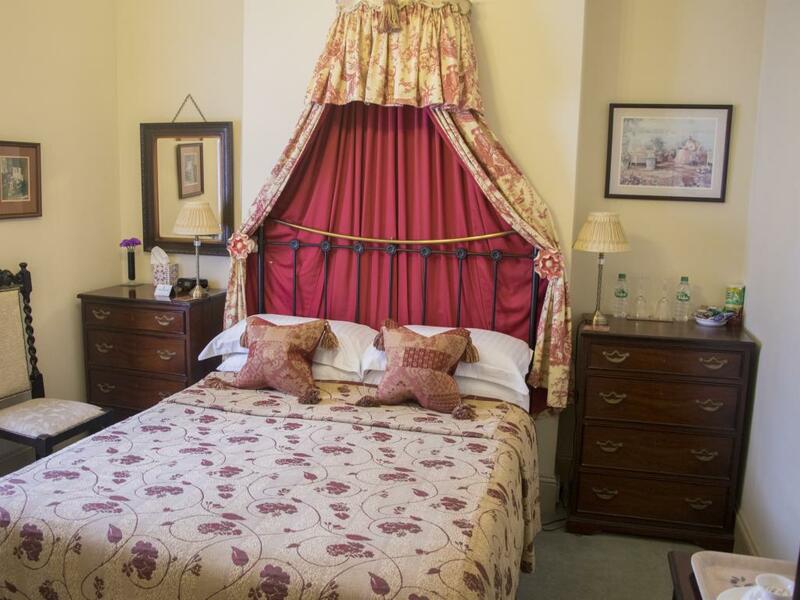 This room also includes a mini fridge for your personal use. 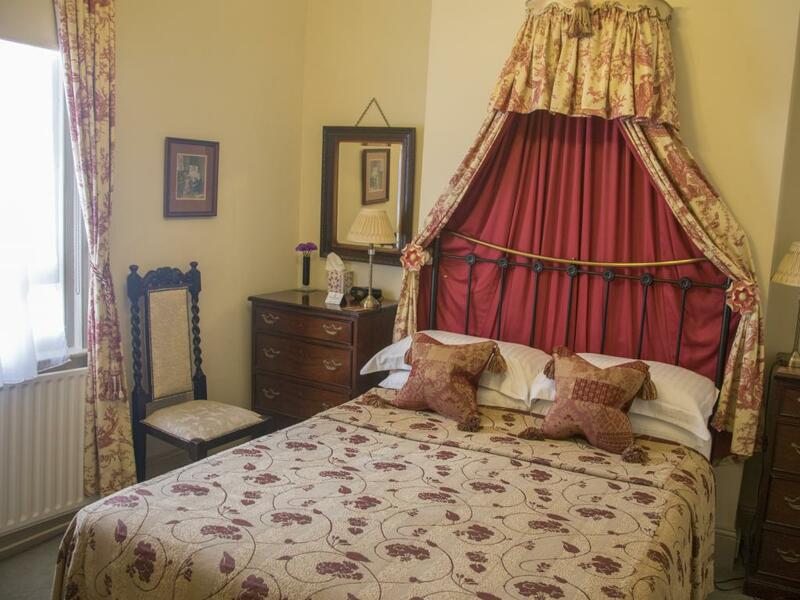 The Louise is a single room with an antique corona draped bed. 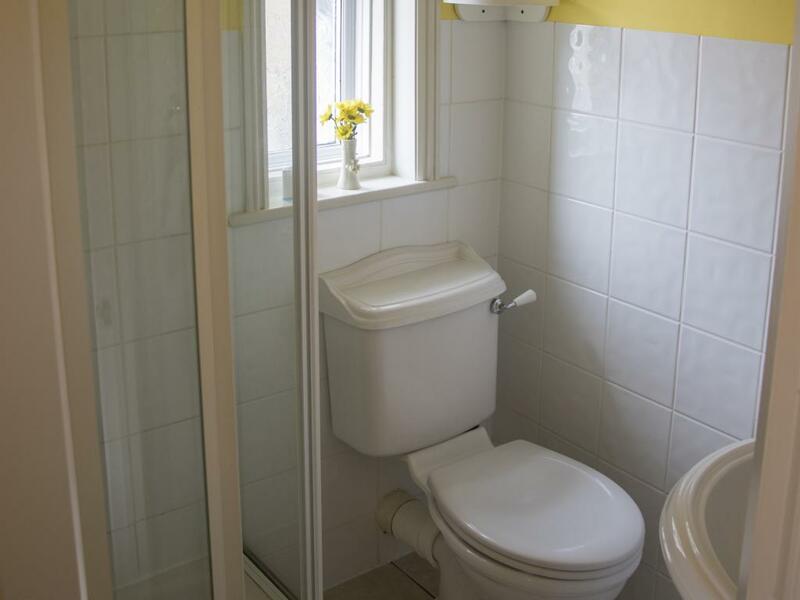 The large en-suite bathroom has a bath and hand held shower. 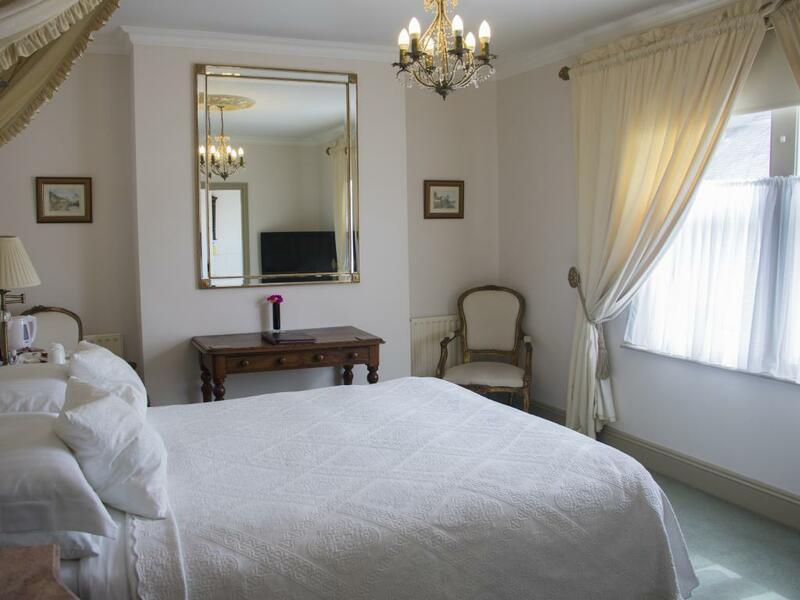 All rooms are equipped with black out blinds and ear plugs to aid a restful sleep. Breakfast is served between 8.00 and 9.00am Monday - Saturday (8.30 - 9.30 on Sundays). We cook all breakfasts fresh to order using the highest quality, and where possible locally-sourced, ingredients. 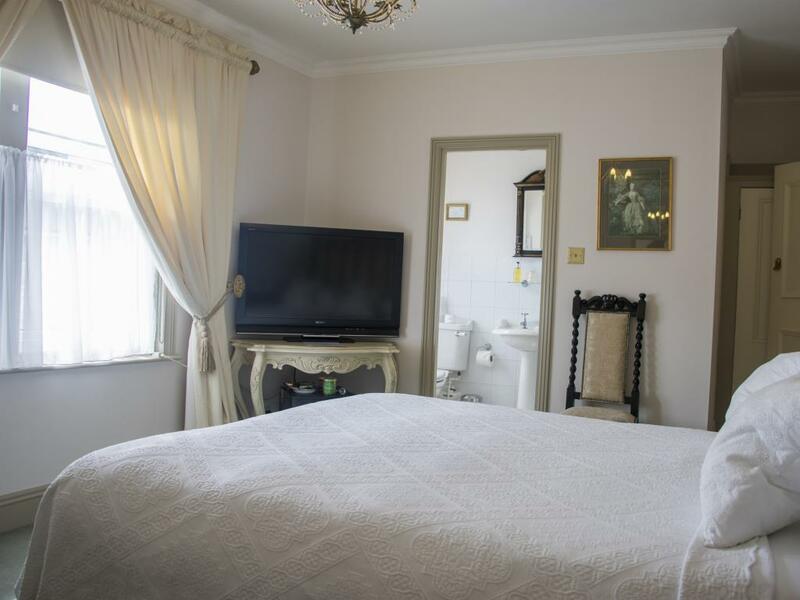 This room also includes a mini fridge for your personal use. The Bertie is a small but perfectly formed, comfortable single room with ensuite shower. Please note the bed is a 2ft 6 inch wide and standard length. 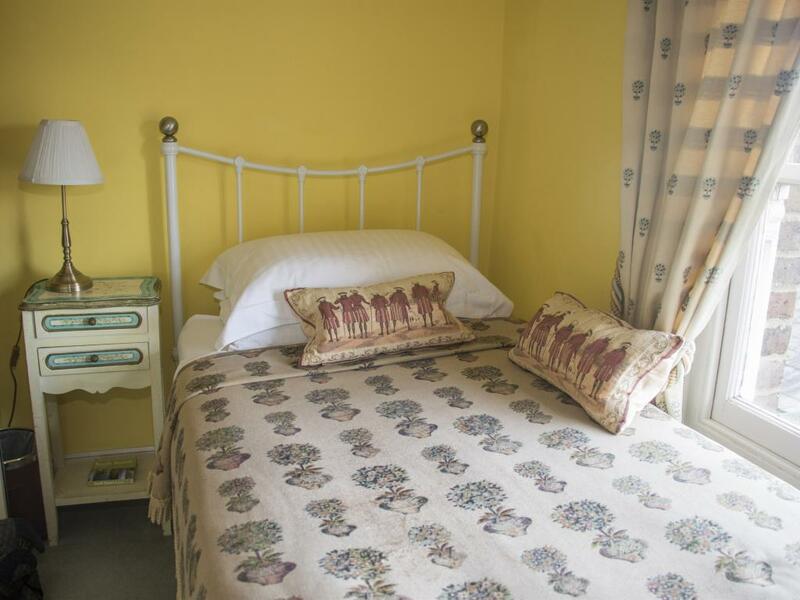 Comfortable guest house, friendly welcome and delicious breakfast.